When I was younger - young enough to mainly play with action figures - my idea of the "perfect toy" was pretty close to what videogames are today. I wanted to be able to control one action figure while some computerized entity controlled all the others. I even imagined such a system of playing with action figures only existing as holograms (gimme a break, it was the 80's) rather as tangible objects I could hold. If that doesn't almost perfectly describe modern videogames then I don't know what does. As it turned out, videogames have another advantage that I didn't realize at the time and that is how they make it very easy to "own the whole set." If I was playing with...let's say Gears of War action figures back in the day, I'd have one Dom figure (Marcus would always be sold out) and one Locust grunt and the rest would be played by a motley crew of Star Wars and G.I. Joe figures. Thankfully videogames helpfully packages all the characters, weapons, and play sets into one tidy package that the dog can't chew up unless you're REALLY careless. What does any of this have to do with the "This Connor" from the headline I've gotten so far away from at this point? 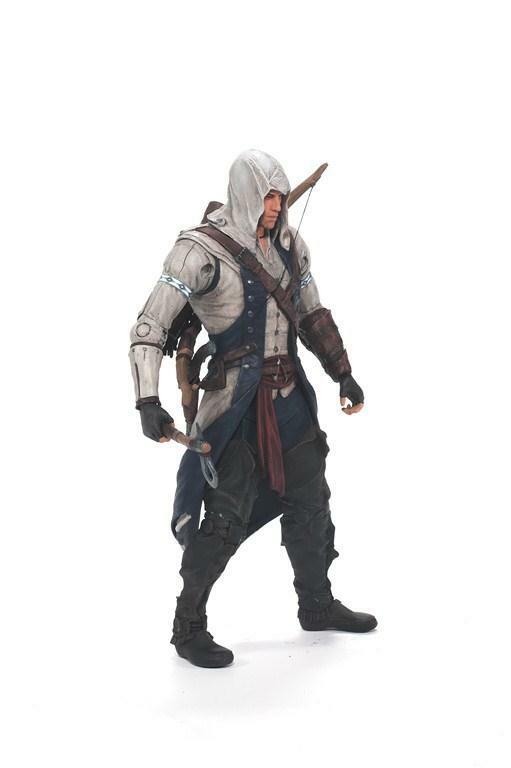 Well, McFarlane Toys are producing a series of Assassin's Creed figures. 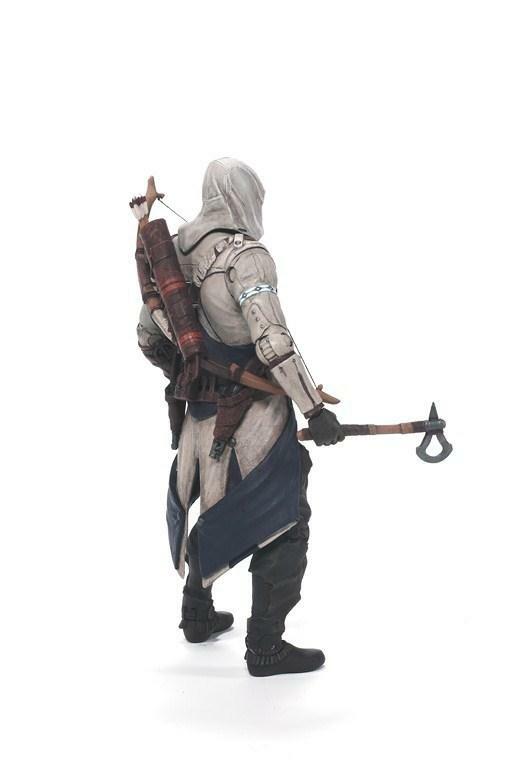 The first series, based on Assassin's Creed 3 will feature two Connors (Assassin Connor an Rathonhnhake:ton Connor from the "Tyranny of King George") and Haytham Kenway. Unfortunately, before you can play with the Haytham figure, you'll have to spend 10 hours playing with Charles Lee's mother-in-law* in order to learn all the moves. Each figure will stand approximately six inches tall and feature an average of 25 points of articulation and will come with a single use code that unlocks additional Assassin's Creed content (because of course it does). There's not word yet on when they'll hit stores, but you can check them out in booth #4921 at the International Toy Fair that runs from February 10-13. To learn more, follow the jump. *the "Charles Lee's mother-in-law" tutorial figure doesn't actually exist. I know you're sad now. Sorry. 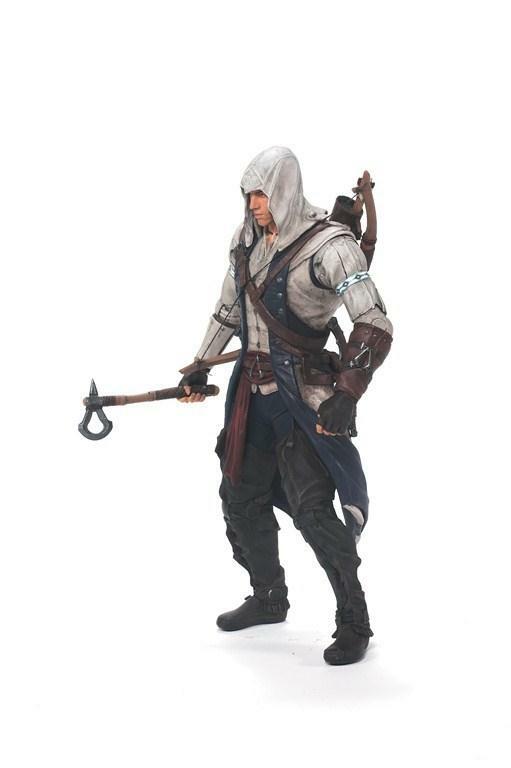 Tempe, Ariz.— February 6, 2013 –McFarlane Toys in partnership with Ubisoft announced today a licensing agreement to bring Assassin's Creed®, one of world’s most successful video games franchises, to store shelves. McFarlane Toys’ Assassin's Creed series 1 will consist of seven figures including the fan favorite characters of Connor and Haytham Kenway. 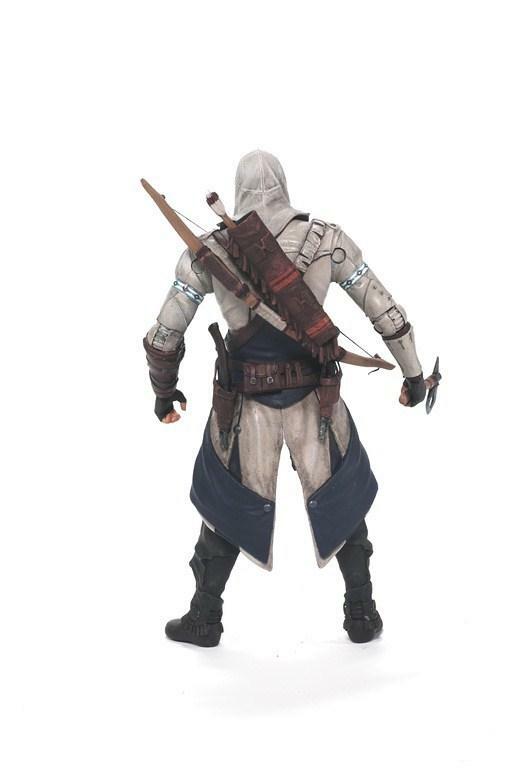 Connor will come as two action figures – one in his Assassin’s Creed® III traditional Assassins garb and the second, as Ratonhnhaké:ton in the upcoming “Tyranny of King George” storyline. Each figure will be sculpted in the hyper-detail the award-winning McFarlane is known for with collectors and fans. The Assassin Creed figure line of figures will stand approximately six inches tall, include an average of 25 points of articulation, and will come with a unique code that unlocks exclusive Assassin's Creed video game content! 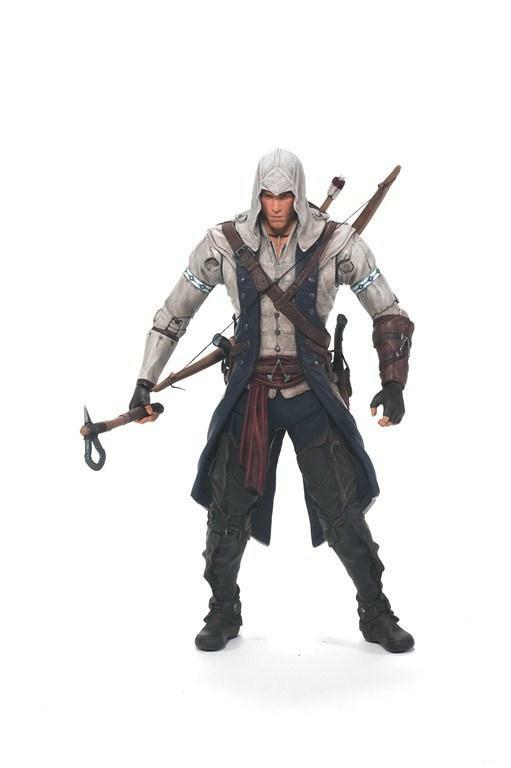 McFarlane Toys will be displaying a first look of the upcoming Assassin's Creed action figure prototypes at the International Toy Fair show, February 10-13, booth #4921. Assassin's Creed has grown to become Ubisoft’s fastest-selling IP of the current console generation. Initially launched in 2007, the first four Assassin's Creed games have sold more than 40 million units worldwide, and the franchise is now established as one of the best-selling series ever. The fifth game, Assassin's Creed III, launched in October 2012, and is now the fastest-selling game in the company's history, with total sell-through topping the 7 million mark worldwide just one month after its release. Recognized for having some of the richest, most engrossing storytelling in the industry, Assassin's Creed transcends video games, branching out into other entertainment experiences including comic books, Facebook games, novels, short films and more. The series celebrated its fifth anniversary in 2012, and an Assassin's Creed feature film is currently in development. 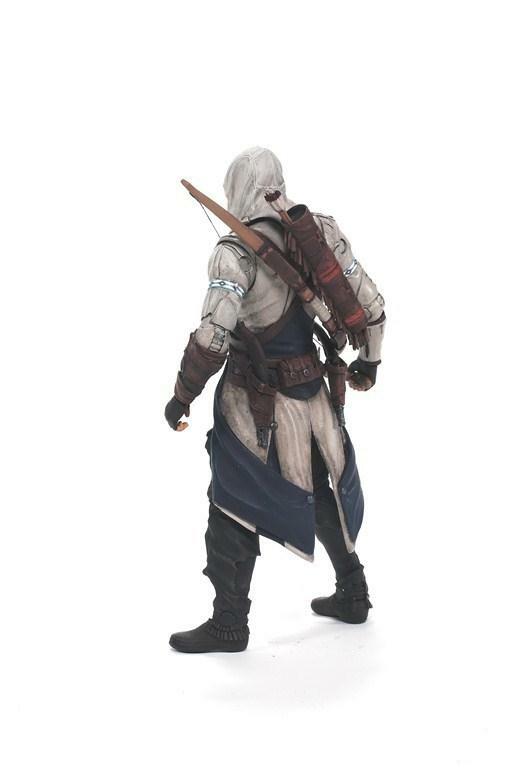 McFarlane Toys' Assassin's Creed action figures will retail for $14.99-$16.99 and will be available at major mass and specialty retailers in the United States, Canada, South America, Australia, Mexico and New Zealand including Walmart, Target, Toys "R" Us, GameStop, Amazon, local comic book stores, and more. About Assassin’s Creed: Initially launched in 2007, the first four Assassin’s Creed games have sold more than 40 million units worldwide, and the franchise is now established as one of the best-selling series ever. Recognized for having some of the richest, most engrossing storytelling in the industry, Assassin’s Creed transcends video games, branching out into other entertainment experiences including comic books, Facebook games, novels, short films and more. © 2007-2012 Ubisoft Entertainment. All Rights Reserved. Assassin's Creed, Ubisoft and the Ubisoft logo are trademarks of Ubisoft Entertainment in the U.S. and/or other countries. About Ubisoft: Ubisoft is a leading producer, publisher and distributor of interactive entertainment products worldwide and has grown considerably through a strong and diversified lineup of products and partnerships. Ubisoft has offices in 26 countries and has sales in more than 55 countries around the globe. It is committed to delivering high-quality, cutting-edge video game titles to consumers. For the 2010–11 fiscal year Ubisoft generated sales of 1.039 billion euros. To learn more, please visit http://www.ubisoftgroup.com.